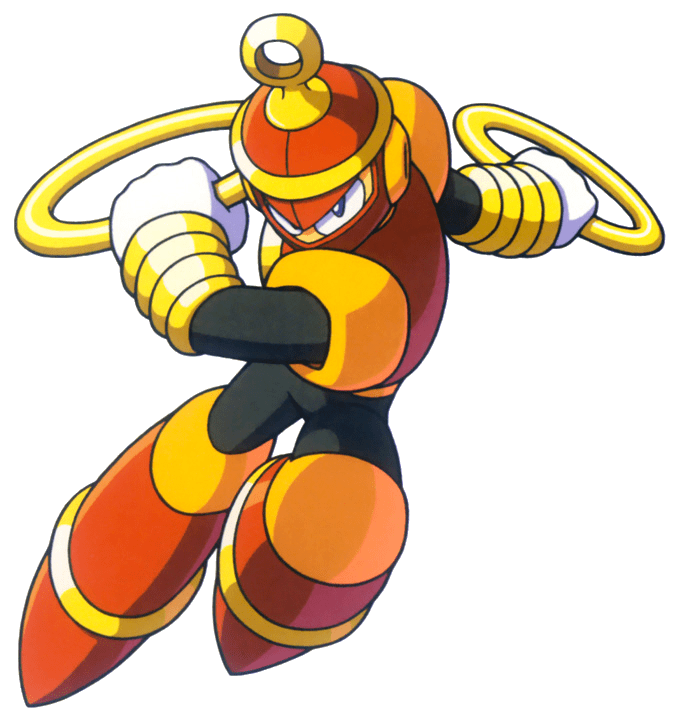 Last time, I covered the Top 10 Coolest Robot Masters for your reading pleasure. This time, I thought I’d do a bit of a 180 and instead cover the top 10 cutest, adorable, ridiculous and downright fabulous (it’s in the lexicon, so I can use it!) Robot Masters. This one is gonna get a bit silly. You’ve all been warned. Yes, Ring Man has a gimmick so ridiculous that I deem it cute. I mean hell, he has a freaking hula hoop on his head. Had he come out in recent years, he would be known as Bling Man! However, there is a reason Ring Man is dead last in the cute race – the fact that he is actually a bit of a threat. His attacks may be gimmicky, but that makes them no less deadly. Say what you will about his design, but he gets the most out of his weapon. 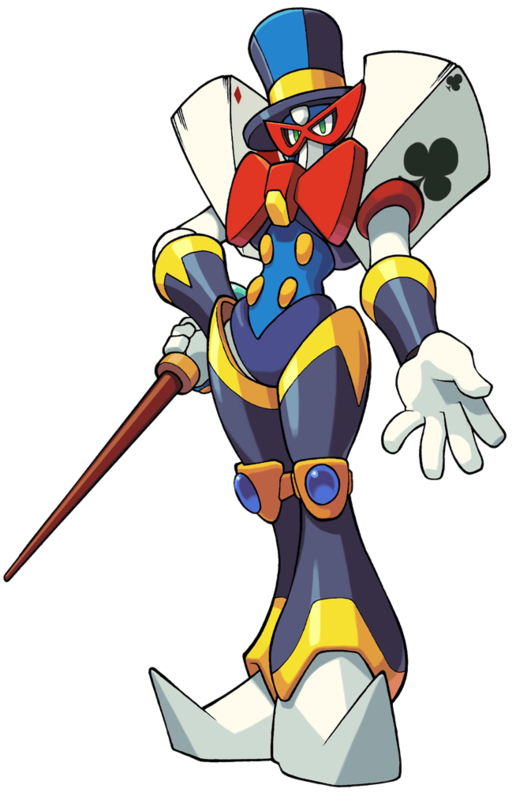 Speaking of gimmicky, let’s move on to number 9: Strike Man! The retro revival of Mega Man 9 and 10 had some pretty crazy bosses, and Strike Man takes the cake. Or the pitch. He almost causes a chicken/egg duality that makes my head want to explode. Regardless, he is slightly less menacing than Ring Man, thereby cuter. Don’t worry, the later entries are going to be much cuter than this. 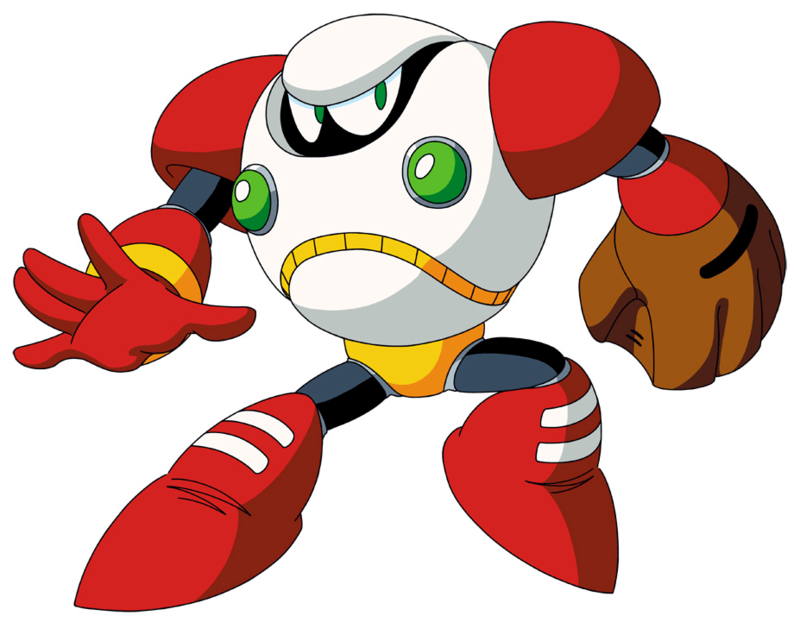 Number 7 could have easily been on a list called Top 10 Most Racist Robot Masters, had Capcom not given him a design change and color swap. Luckily, he got sanitized and thus stands before you on the cute list. 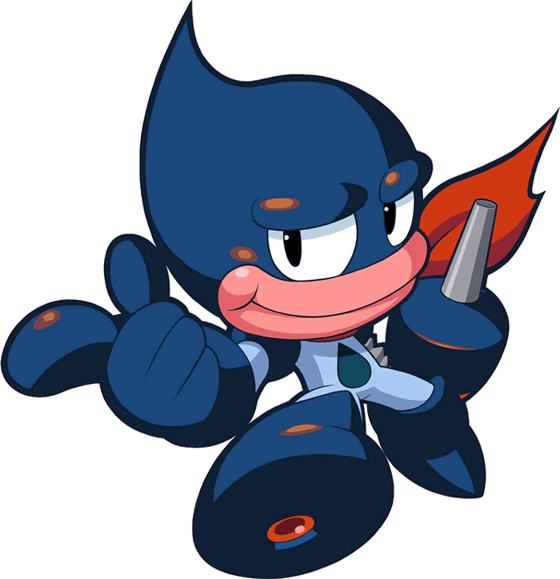 I do have to admit, I never played Powered Up, which he is from, but he exemplifies the oversized, cute style prevalent in that game. He hardly even looks like a Robot Master at all and more like a Disney reject. Still, he’s the first fully cute design thus far. Let’s move on to the next one!